Traveling TrailblazerGirls, you need these pants! 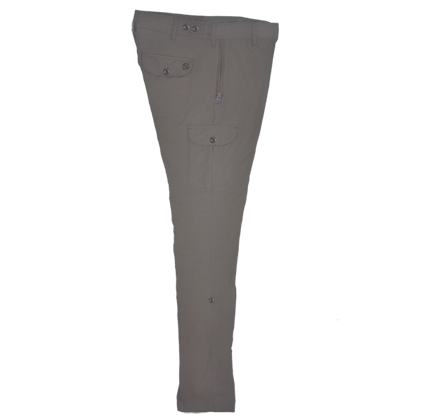 The Pick-Pocket Proof Pants from Clothing Arts are designed to thwart theft of your valuables as well as look stylish. All five visible pockets have either a secure zipper or button flap – notice we said “visible” because there are 2 hidden zip pockets within 2 of the button flap pockets. These are perfect for holding money, id, credit cards and one is even big enough to hold your passport! They are made out of a special nylon fabric that has the soft feel of cotton, is quick drying, wrinkle free, and incredibly strong and durable (10+ lbs of tearing strength), and they even have a handy strap and button to turn these pants into capris. Comes in women’s sizes from 4 to 20, three colors (khaki, grey, and olive) and three inseam lengths. As they say, “combines the utility and durability of outerwear with the comfort and styling of urban wear.” Super pants.